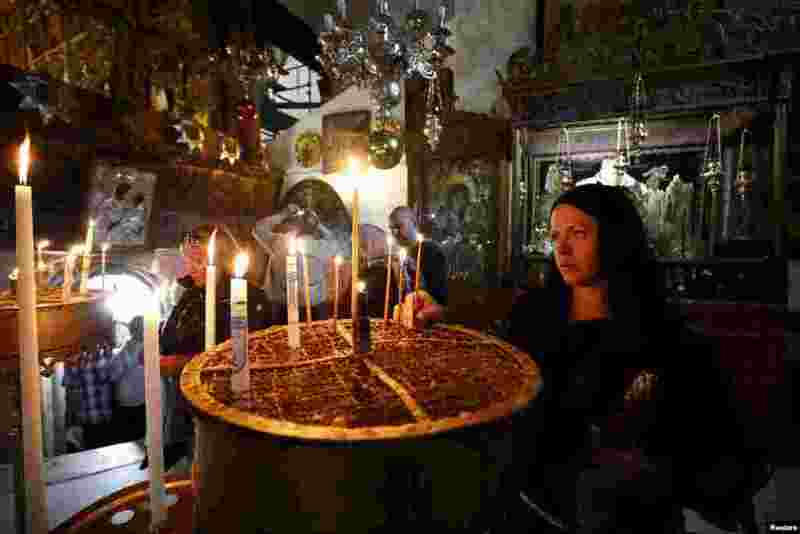 1 A worshiper lights candles inside the Church of Nativity, ahead of Christmas in the West Bank city of Bethlehem. 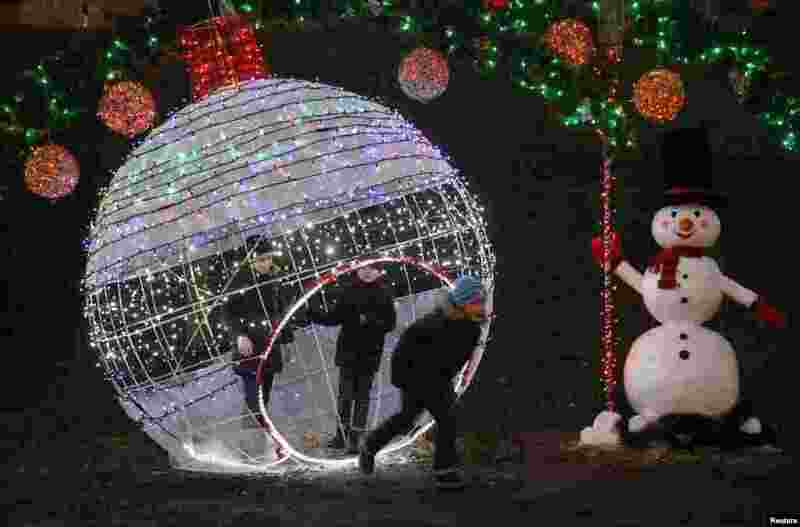 2 Children play in a park, which is decorated with festive illumination lights, as a part of the New Year and Christmas holidays celebration, in Kyiv, Ukraine. 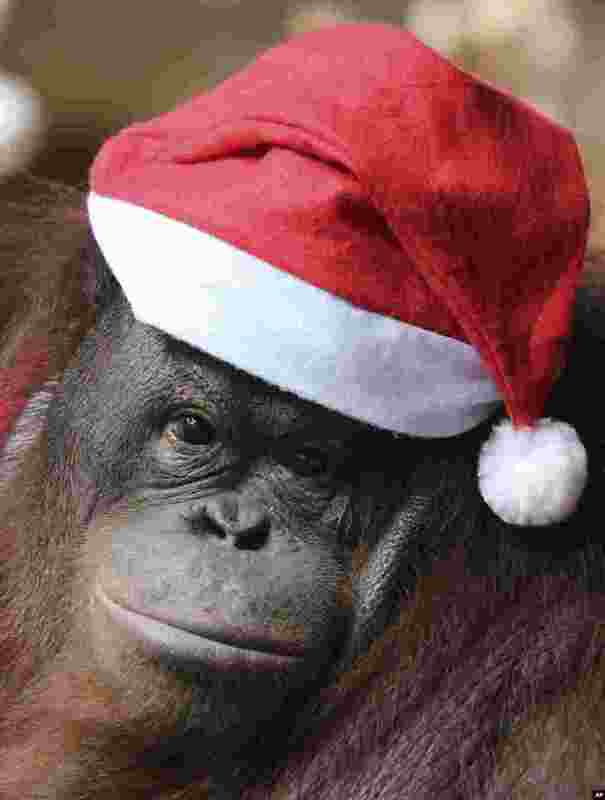 3 An orangutan named "Pacquiao" dressed in a Santa Claus costume joins an "Animal Christmas Party" at the Malabon zoo in suburban Malabon, north of Manila, the Philippines. 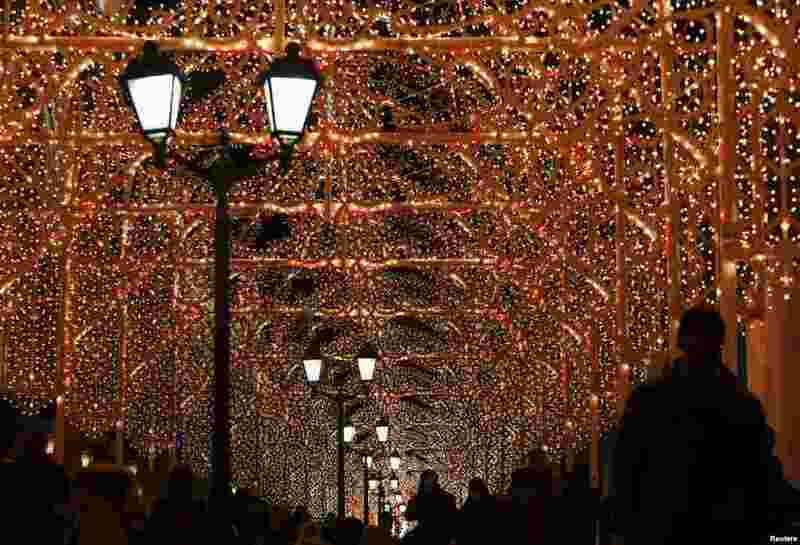 4 People walk along a street decorated with festive illumination lights for the New Year and Christmas holidays celebration in central Moscow, Russia.